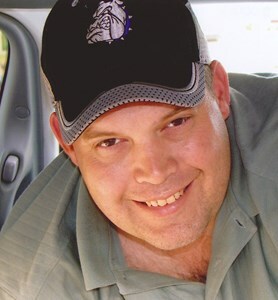 DARREN SCOTT OTHICK, age 52, passed away November 30, 2018 in Manhattan, KS. Funeral services are scheduled for Saturday, December 8 at 2:30pm at Journey Bible Church, 13700 W. 151st, Olathe, KS, with visitation to begin at 1:00pm. In lieu of flowers, memorials are suggested to Operation Gratitude which gifts our servicemen/women and their children, Journey Bible Church’s Widow and Orphan Fund, or the Fraternal Order of Police in Lawrence, KS. Darren was born October 29, 1966 in Topeka, KS to Wayne and Nancy Othick. He graduated from Lawrence High School in 1985. Darren served our country in the US Air Force from 1986 to 1990. Darren later became one of Lawrence’s Finest when he joined the Lawrence Police Department and had the pleasure of working alongside his dad. Darren was employed by LKPD from 1991 to 2008. Darren then started a small business, American Design which evolved to what it is today, a small-business, service-disabled company in which he personally provided grounds maintenance and janitorial services. On May 27, 1989, he married Meghan Zimmerman, and they made their home in Douglas and Johnson Counties in Kansas. To them, two children were born; Caleb Wayne Othick and Kara Breann Othick. Darren held many jobs over the years. He always thought of his family first when considering new opportunities. The primary component was not financial gain, but whether his family-time would be compromised. Most of his married life, he worked two jobs to provide a better life for his family. He was employed with the Lawrence Kansas Police Department from 1991 to 2008 following a career-ending injury which left him unable to perform the duties as a patrolman. Also during part of that time, Darren and his dad started a father-son business, Othick & Son Custom Buildings, building pole-barns primarily in Douglas and surrounding counties in Kansas. Darren treasured that special time with his dad and spoke of it fondly. In 2008, Darren chose to teach himself the trades of screen-printing and commercial embroidery; the small business, American Design was born. Darren loved learning about the intricacies of both and enjoyed using his creative skills to craft tools to make his job more efficient. Really, his deepest love and what made him the happiest were the friendships he quickly made with his customers. Darren held his work to a higher standard. The bottom-line suffered a bit when a finished project was slightly off-center - it went to the donations bin even if he was the only one who could discern the error. He had a desire to build personal relationships with his customers and quickly, they became friends. For the past five years Darren’s company grew to provide grounds maintenance, janitorial, and other needs as identified by the United States Army (primarily in the state of Kansas). Darren was privileged to once again work along side his father. And in the past two years his son Caleb joined him to learn from his dad, in some of these roles. Again, Darren’s guiding principles were love of people and a job-well-done. He was a member of the Fraternal Order of Police and enjoyed being with family, attending soccer games, and learning about our country, plainly expressing his views- even if that did get him banned from Twitter once or twice. Most recently, at the suggestion of his daughter, he also enjoyed exploring different coffee shops, quite a dichotomy from the large QT iced tea cup that was never far from his reach. Darren’s faith in Jesus Christ was the driving force in his life. He trusted in Jesus alone for his salvation in 2007. Darren loved the Lord and chose to proclaim his faith publicly through baptism. Since that time, Darren continued to develop and grow strong in his faith. He was a tender warrior who had a servant’s heart, endless love for his family, and a fervent desire to be a Godly husband, father and friend. It is the reality of his faith and the promises of God which gave him and his family the assurance of an eternal life beyond his earthly-life. They now know that Darren is in the glorious presence of his Lord and Savior. He is in a place where every tear has been wiped away, where there is no more death or pain, and where the former things have passed away. Surviving family members include his wife, Meghan, his son Caleb and daughter Kara, his sister Sonja, and his parents. He was preceded in death by Elmer and Mable Othick. Add your memories to the guest book of Darren Othick. I remember him well even though it’s been many years. RIP brother. My sincere condolences to his family. You are in my prayers. Our heartfelt condolences in the loss of Darren. Keeping your family in our thoughts and prayers as you journey through this time of grief. Know that God has his arms around Darren and he is at peace. My thoughts and prayers are with you Meghan???????? Bubba was a very good friend and remember him fondly. Although we had lost touch I thought of him often. Many great memories of him in high school and time with his family. He will be greatly missed and remembered fondly. My sincere condolences to his family during this difficult time. Wayne & Nancy, my thoughts and prayers are with you. I was blessed to spend time with Darren when he was in high school throwing hay. He gave all of us so many reason to be proud to call him our Friend, Brother Veteran and Law Enforcement Officer. Thank You Wayne for being a mentor and friend. I was very sorry to hear about Darren. May he rest in peace. Even though I only knew him for a little over a year, I felt like the circumstances of how close I was in his and your families lives brought me to grow a bond with him. He was a great man who loved his family and I saw that everytime I was there. I’ll never forget him, and he was so kind to me and had a great sense of humor. I’m glad for the memories and times we did spend together, and I’m glad he liked me, or at least I think so. Someday I know I’ll see him again, and can only rejoice that he is with our Lord and Savior. Shelba and Kent and your family so sorry for this loss He certainly sounds like a most outstanding man, my sympathy to all of you. We have never met and you don't know me. I am one of the three men who tried to help Darren the day he passed. Until yesterday I didn't know who this man was or even what his name was. I didn't know the kind of life he had lived. It was my fiance's idea to try and find out who he was so I could have some closure. My fiance also thought it might bring some comfort to your family, albeit small comfort, to know that He wasn't alone that day. It was a matter of seconds between the time he starting having issues and the time that myself and a Platoon Commander rushed to his aid. I also want you to know that I prayed for him that day several times, and nearly everyday since then. I read his obituary and was so happy to see that he was a good man with strong Christian beliefs. I debated whether or not to send this as I'm sure your family is going through a lot and are in the midst of grieving. Hopefully knowing those two things, that someone was praying for him this whole time and that he wasn't alone that day, bring some small comfort to you and your family. I am truly sorry for your loss. From what I read about him I can tell he was a good man. Meghan, I was lucky to have known Darren and know he will be missed by many. Sending hugs and prayers to you and your family at this difficult time. Love you lots!! So sorry to hear this sad news. I'm glad we all know where he is at this moment, in the arms of our savior. We have fond memories of our ski trip to Winter Park and staying at the house with your family and playing Balderdash every night. He was a huge worker and giver, we appreciate that about him. We hold you close in our thoughts and prayers, and hope you know you can lean on us for whatever you may need. Brian, Stephanie, Noah, and Alec Verbraken. I was deeply saddened to hear about Darren's passing. What a great guy! Darren once drove Henry and me to Ben's baseball tournament out in the middle of nowhere because I did not want to have to drive at night. That's the kind of person he was and will be remembered as...someone who would do anything for anybody. I never remember Darren being in a bad mood. His family was everything to him. He was so proud of you guys! Our prayers are with you and we will all be thinking of you at this difficult time. I have admired Darren since meeting him in 5th grade at Kaw Valley Elementary School. Although he was the same age as myself, he was already doing things that made him seem like a much older boy. He was building a jeep, driving motor cycles, launching model rockets and many other things, some of which I followed him into. Later, I watched him on the football field as he set an example of a good leader and team mate. Darren continued to be someone I looked up to into adulthood as a husband, father, citizen and businessman. I was flattered that Darren and Meghan warmly greated my family and I at reunions and other times we came to Lawrence. It's been too long since Darren and I last talked but he comes to mind often. I humbly offer my condolences to Meghan, Caleb, Kara and the family. I also extend my warmest thoughts and hopes for them as they go forward into the future. Meghan, I am so sorry to learn of Darren’s passing. I know he will be dearly missed by you and so many others who loved and knew him. I am very grateful to learn that for the past several years, and now for all eternity he will enjoy his relationship with Jesus. I was saddened to hear about Darren. He was a great family man. I will be keeping you and your family in my prayers. Our hearts are aching for you. As you think of Darren, from the sweet blessed baby in your arms to the rough and tumble young boy growing up on your beautiful farmland, remember that it was your love and solid guidance that made Darren the fine man that he was. You can be proud that your example provided him with the knowledge of how to be a good husband and father, a man of service for his country and the LKPD, a positive contributing member of society, and a man of faith and strong beliefs. Sadly, he left far too soon and nothing will replace his earthly presence. Remember the joys and challenges of raising that sweet baby and rest in the knowledge that you were both loving and loyal stewards of the Lord during Darren's time on earth. Now he is in God's welcoming arms where we all hope to be some day. We want to ease your pain and encircle you with love and compassion. Please know that we are sending our prayers from Florida. Meghan, I never had the honor of meeting Darren but it sounds as if he was an incredible man. I send my sympathy and prayers to you and your family and friends. I pray that you have much support now and in the years to come. Blessings to you and yours. Meghan, Jewell and I were sorry to hear about Darren but we wanted you to know that we are thinking about you and your family. I worked with Darren from 1999 to 2008 at LKPD. I was saddened to hear of his passing. My thoughts and prayers go out to the family. May God comfort you in your time of sorrow. Darren will be greatly missed. Our hearts go out to you all. We worked with Darren for many years at the LKPD. He always had a kind heart. We had many laughs. Darren was always one to "tell it like it is". He always had the last word, but that was okay, because that's what made him Darren. He will be missed. Please know he is living his life to the fullest now in peace. Darren and his Dad, Wayne, were great to work with. True, loyal and honest. I’ve never worked with finer men. May the Lord hold him tight in his House in Heaven. Last word, Darren was a good cop. I’ll never forget the periods of time I got to spend with Darren and all of you. I hold these memories very close to my heart, you were all so kind to me and I will never be able to explain how much it meant to me. Although it has been awhile since I have spoke to you, I just want you to all know how much you mean to me and you are in my prayers and thoughts everyday. Although I am far in miles, if you ever need an ear to listen please don’t hesitate to contact me, 620-481-4118. I’ll never forget the time me and Caleb were hanging out, and I went home too late and my car got snowed in. And Darren was able to take me home with his plow attached to the front of his truck. Truly a ride I will never forget! His kindness, love, and faith will continue to radiate from each one of you. I knew Darren first as a cop, but more recently as a friend. Though we worked together for many years, it was in the more recent months that Darren and I shared many discussions of faith, family and country. He loved all three and was not afraid to express it. He will be missed by many. Members of Fraternal Order of Police Lodge #2 in Lawrence were saddened to hear of the death of Darren. Many of us worked alongside Darren and Wayne and have fond memories of both. Our thoughts and prayers are with the family at this time of grief. To many memories to put here. MT, Deanna, Logan and Hayden offer our heartfelt condolences. Darren was a great mentor and one of the finest police officers I served with. I learned so much from him and Mike during our time working the gang unit. All of which helped mold me into what I am today. Thank you Darren. God bless you and your family. God Speed! My deepest and heartfelt sympathy are with you all. I am glad and sad that the last time we could talk and see each other was a few months ago at grandma's funeral. There are many memories of us when we were competing kids growing up. I enjoyed those times when we got together and sometimes got in trouble. So sorry that I am unable to make it back at this time, but my thoughts are with you all. I have always had a fond memories of Darren. When we first started attending the Lighthouse Baptist Church in Baldwin, Darren always came over to greet us and make us feel welcome. I remember many times he would hobble over to us with one foot in a cast, with a big smile on his face. I also admired his talent of screen printing talents. I remember sitting down with him and explaining a design that I wanted him to create for me. Darren was well loved by his precious wife Meghan and children. For each one of us there is a time. Darren has met his time, and I am looking forward to meeting him once again in Heaven, and to see that big smile of his. You were my first roommate when I got to Wurtsmith AFB. We became friends immediately. I regret not keeping in touch with you over the years. I’m heartbroken not only for myself, but for your beautiful family. I had accepted Jesus Christ as my Savior long before we met (though at times I didn’t act Christian like). I’ll see you again one day buddy. I love you!! To the Othick family; we are truly sorry for your loss. Thanks to the 4-H program, I got to know the Othick family, and what great people they are. Darren was a fun, pleasant man to know. You folks are in our thoughts and prayers. My prayers to Meghan, the children, and Wayne/Nancy. God has called Darren home and our memories of him become very precious. Our academy days, story telling, chasing the bad guys as kids ourselves, your passion for doing what you thought was right even if it meant sacrificing yourself, the love for you family, and your kind heart are my memories of you. God bless you brother!! L123 is 10-7. Wayne, Nancy and Sonia - We are so deeply sorry of hearing of Darren's passing. We will pray for comfort and grace during this time and sending Hugs and Prayers from Texas. Wayne and Nancy, We are so very sorry for your loss. Darren was a friend who always had your back when things were tight. He will be missed by all who knew him. My heart goes out to the Othick family..I worked and chewed dirt without Darren...I was new to the work when he was a veteran...and he helped me come along and find my way. I will always owe that to him. Solid. Thoughs and prayers for family.